Lettuce has a shortened fleshy stem 10 to 15 cm tall. The stem elongates and branches in a paniculate manner during the reproductive phase. Each branch terminates in a homogamous capitula with ligulate, hermaphrodite pale yellow leaves. 4. Crisp head or head lettuce. This group does not form heads and is characterized by soft leaves. It is represented by cultivars such as Grand Rapids. It grows well both in the open field and under protection and can be shipped over longer distances. The cos lettuce has a loose head with narrow, soft leaves. The outer leaves are dark green, coarse and have heavy ribs while the inner foliage is lighter. It is more resistant to cold than the other groups. This type is usually grown in open fields. The butter head lettuce forms a head that is somehow similar to that of cabbage in shape and has soft, waxy, flexible leaves. It is sensitive to hot weather. Butter head lettuce is less adapted to field growing or long-distance shipments. This type is widely grown in the country and it is characterized by firm heads and crisp, curly leaves. The outer leaves are dark green, while the inner ones are pale and lack chlorophyll. Cultivars in this group include Great Lakes, Del Rio, Del Oro, Frosty, Winter crisp and Winter Supreme that are cold tolerant. Aviram, Commander, Tropical Emperor, Empire 2000, Summer Gold and Victory are cultivars within this group that are better adapted to warmer conditions. The cultivars are also well adapted for field growing and for long-distance Shipments. Lettuce is a cool season crop that grows best within a temperature range of 12 °C to 20 °C. It does not suffer from light frosts and winter cold except near maturity. Severe frost before harvest can scorch leaves and heads. Temperatures above 27 °C affect head development and plant edible quality and also promote premature seed stalk development. High temperatures also inhibit germination and can cause a high incidence of tip burn. The plant grows well on a wide variety of soils ranging from light sand to heavy clay, but it thrives well in fertile loams that are rich in organic matter. A pH between 5.5 and 7 is ideal for uptake of nutrient. Lettuce should be grown on soils with a high water-holding capacity and proper drainage for good root growth and plant performance. Propagation:Lettuce is propagated from seed. Lettuce seed is small and as such requires soils that are not prone to crusting. The soil should be worked to a fine tilth, without clods and it should be as level as possible in order to ensure a more uniform emergence. Planting:Raised beds are ideal for lettuce production and they help prevent damage from soil compaction and flooding. Raised beds also improve air flow around the plants, resulting in reduced disease incidence. Lettuce is regularly sown directly in the field to a depth of 10 to 15 mm. The seedlings are later thinned out to the desired spacing and they are sometimes used for transplanting. Seedlings for transplanting may also be raised in seed trays or seedbeds and transplanted about five weeks after sowing. 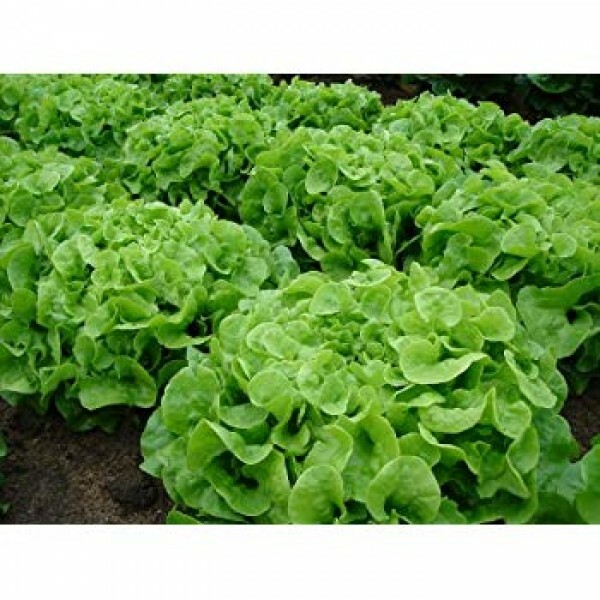 Irrigation: Lettuce has a shallow root system and as such requires frequent but lighter irrigation. The roots penetrate the soil to a depth of only 300 mm. Water should be applied throughout the growing period and reduced when the heads become full. A water shortage tends to promote bolting. Weed control: Weeds are controlled mechanically, manually. Mechanical weed control can only be practiced before planting because of close spacing. Weeds are removed by hand hoeing or pulling between plants in the rows. Cutworms Agrotis spp: Cutworms may be problematic during the seedling stage. They are usually found 2-5 cm below the soil surface in the vicinity of cut-off plants. Cutworms are active during the night and they cut the stems just above or below the soil surface. Aphids: Heavy populations of aphids can result in stunted growth of young plants. their presence may also contaminate the heads, thereby affecting the appearance of the heads. Aphids act as vectors of some viral diseases. American bollworm: Larvae penetrate at the bottom of leaves and eat their way into the heads. Harvest maturity: The heading types are harvested when the heads are fully grown and firm while the loose-leaf types are picked when the leaves have reached the required size. Harvesting methods: Lettuce is harvested by hand by cutting off the plant just above the soil surface to keep most of the outer leaves around the head. Harvesting should be done very early in the morning because lettuce wilts rapidly.